This Quoizel Byron 1 light medium outdoor wall lantern in imperial bronze finish with clear glass is rated IP44 and features historic charm. Boasting a rectangular stepped wall mount and medium top mounted lantern, featuring a stepped curved roof with carry handle and clear bevelled edge glass panels. The top mounted lamp bulb hangs in front of a soft copper finish disk that will create a lovely warm glow when illuminated. 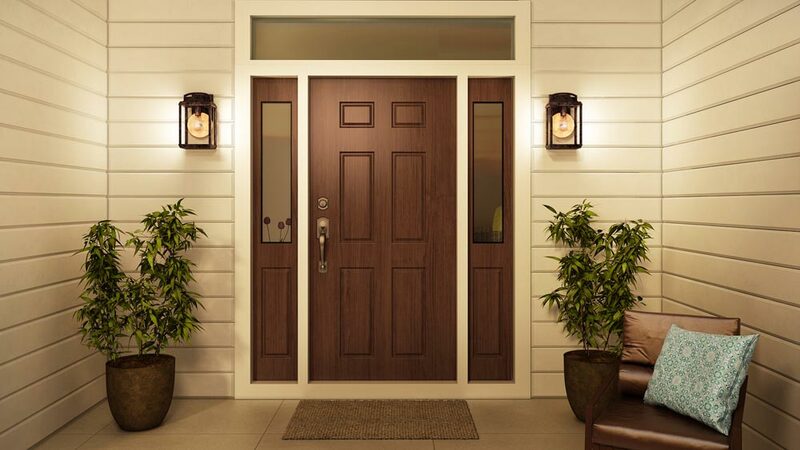 This fixture gives the exterior of your home beauty and an exclusive sense of style. Use a vintage style bulb to give a historic look that’s enhanced by the copper-hued plate directly behind it. The clear bevelled glass and the Imperial Bronze finish complete this traditional look. 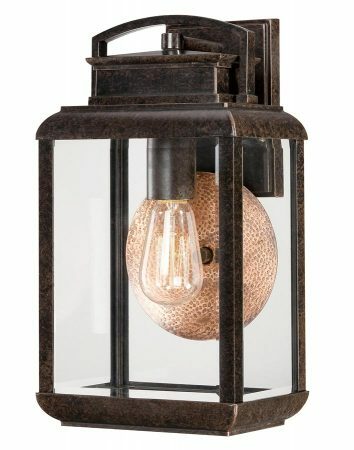 If you are searching for a quality outdoor wall light in a classic style, this Byron lantern should be considered. Fully weatherproof and supplied with a manufacturer’s 3-year anti corrosion warranty, which relates to the corrosion of finishes on aluminium outside lights like this one. There are matching fittings available in the Byron outside lighting range; please see below. This exterior light is supplied by Elstead Lighting and designed in the USA by Quoizel, founded in 1930 in New York. Their designs embody a history of being artisans in glass and natural materials that illuminate your living space and enhance the beauty of your home, such as the Byron 1 light medium outdoor wall lantern in imperial bronze finish with clear glass and rated IP44 featured here.